Her teachings are based on respecting Mother Earth and all its creatures, spirituality and promoting harmony among each other. She also holds a teaching certificate from the University of Quebec and had worked for several years as a federal civil servant. She is an outstanding events’ coordinator and was featured in many documentaries regarding aboriginal culture and social issues. 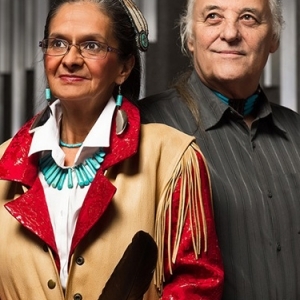 One of the documentaries she and her husband Robert (a Métis) were featured in “KWEKÀNAMAD” (The Wind is changing) was nominated in three aboriginal film festivals.